Tourism in Tanzania is set to get a major boost from the bilateral; air service treaty which was recently signed by Netherlands and Tanzania. The treaty increases the frequency of air travel and will hopefully make it easy for tourists from Netherlands, and surrounding countries to visit Tanzania. According to Dr Harrison Mwakyembe, Minister for Transport, the agreement will provide opportunities to airlines of both countries to offer air transport services frequently. Dr. Mwakyembe, during the signing ceremony said that Tanzania will do its best to ensure that aviation and security are given the priority they deserve. According to Dr Mwakyembe, the agreement is a result of a review made in The Hague in September 2012, of the previous BASA of the two countries which was signed in the mid-seventies. A review that the minister said is necessary to ease transportation of passengers and cargo between the two countries in order to promote international aviation business on the bases of equal opportunities in the designated airlines of both countries. It is also advantageous to tourism in Tanzania because it makes it more accessible to tourists from Netherlands, and other European countries. Tanzania and Netherlands already have a standing social and economic relationship, with this agreement, the aviation sector ensures that the relationship grows in a sustainable way. Mr Jaap Frederiks said that the agreement would contribute to the economic growth of both countries and promote the tourism industry. 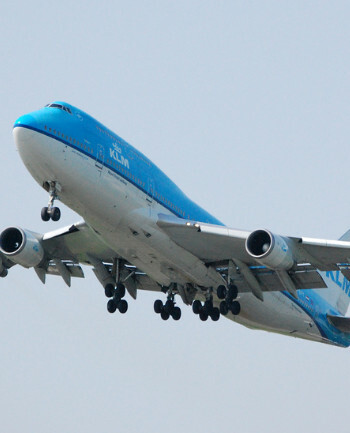 KLM the Dutch Airline has previously been operating in only Dar es Salaam, Kilimanjaro and Zanzibar International airports, but with this new agreement the airline will operate in more of Tanzania’s airports. However because of financial constraints, Tanzania might take a while before direct or indirect aviation services between the two countries even with the stipulations in the agreement. Dr Mwakyembe also said the review of BASA was vital to give a wider room for the two states to meet growing challenges in the air transport industry including aviation safety and security. BASA also addresses the issue of aviation safety and security consistent with the rights and obligations of each state under international law to protect all acts of unlawful interference on the security of the civil aviation that threaten the lives of passengers and crew. All in all the review of BASA is a good thing for tourism in Tanzania, improving accessibility for people in Netherlands who are interested in Tanzania safaris and making travel to Tanzania easier.